Dasara is a Hindu festival which symbolizes the victory of good over evil and it is celebrated in many ways across India. It falls on tenth day of a Hindu lunar month called Ashvin and it is on this particular occasion that Lord Rama killed the demon king, Ravana. People celebrate Dasara festival in Thane after completing Navaratri or nine nights. 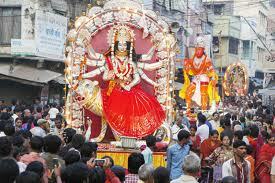 These nights culminate in great festivities on the tenth day which people call Dasara or Vijayadashami. This festival is usually celebrated in the month of October and people visiting Thane can witness great festivities all around this region. Everyone in Thane is engaged in preparations for upcoming Dasara festival of 2012 which would have even greater celebrations. People belonging to different regions of India can be found in Thane and all of them observe their respective tradition for celebrating this festival. Some keep deities in their homes on the very first day of Navaratri and immerse them in water on the day of Dasara. Some exchange leaves from Aapta tree as a symbol of gold and convey their best wishes. Tourists in Thane for business or pleasure can also be a part of Vijayadashami or Dasara festival in Thane along with the local population. For a comfortable stay, there are many hotels in Thane that would provide great accommodations that are fully equipped with modern facilities at reasonable rates. 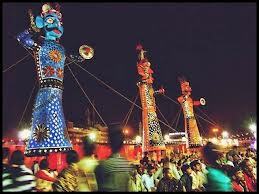 Knowing the date of festivities well in advance would benefit tourists who want to participate in Vijayadashami celebrations along with residents of this region.